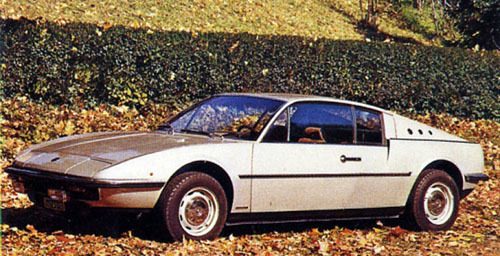 We've added this nice Matra M 530 by Vignale to the Coachbuilders Gallery. Being of 1968 vintage it is not a very old car, but still this sleek French-Italian two-seater is quite a mystery to us. We hope you can enlighten us. 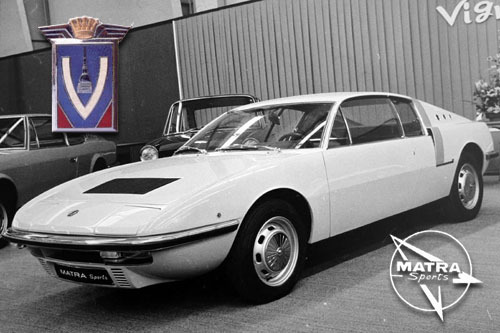 The Vignale Matra was presented as a prototype on the '68 Geneva Show. 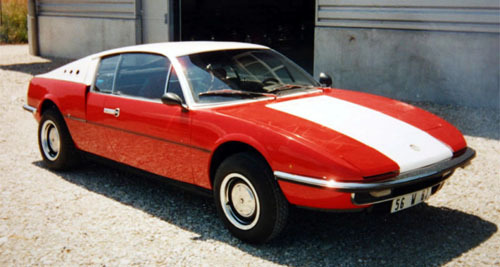 The new body was penned by Virginio Vairo and shows a clear resemblence to several other sportscars of the late sixties, while at the same time it looks very distinct from the standard Matra M 530, on which it is based. 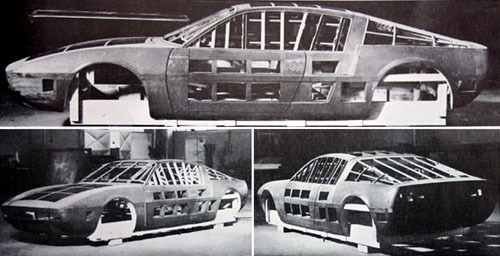 The car made its first appearance painted yellow and was later shown at the Vignale stand in Turin painted red and white. The car lost its louvres in the front deck lid and was given new door handles and a new set of wheels. Also note several changes in the brightwork. There's also a picture in the gallery showing the car in a nice beige metallic paint, also without the louvres. And there's more... In only one of the pictures the red and white car has a glass roof panel! Judging from the pictures, you might think that three examples were made, but they could very well be one and the same car. Who knows? All we do know is that the car still exists in its red and white livery somewhere in a shed in France, alongside some more coachbuilt cars, and that its chassis number is #0021, which confirms that specific car dates back to 1968. If you happen to know more about this special Matra by Vignale, please e-mail us or join our Forum. [UPDATE] The car is indeed a one-off. It has recently been sold by Galerie des Damiers to a collector in the Netherlands who intends to paint it yellow again.